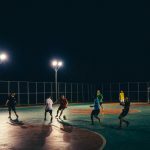 The world’s original football brand is delivering fans a unique collection of Star Wars Mitre balls, inspired by the world’s most iconic pop culture phenomenon. Just as the first love of nearly every child growing up is football, one of their favourite movies has got to be Star Wars! 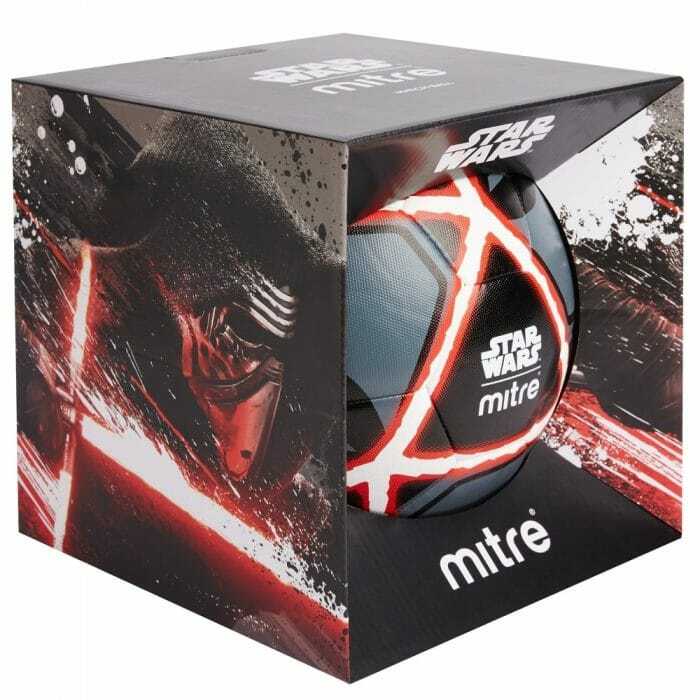 This Christmas, Mitre is uniting with Star Wars to deliver a series of footballs that will excite fans of all ages. Available in Scriball, Match Ball and Pop-up Goal, the new Star Wars Mitre collection is perfect for fans of all skill levels – whether you support the light side or the dark side. 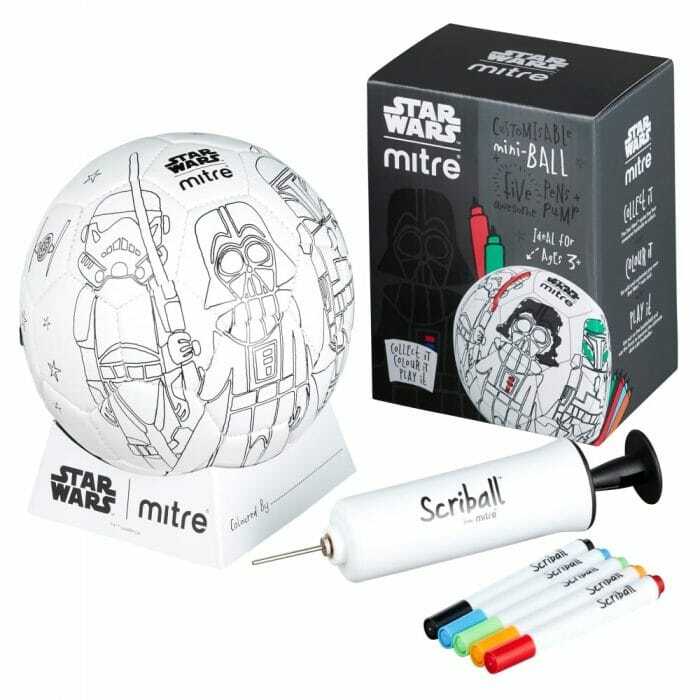 What do you get when you combine the incredible intergalactic adventure of Star Wars, with Mitre’s legendary footballs? The best football in the universe… or at least we think so! Go to battle with your friends in the park – shoot and score, with this iconic Star Wars match ball. RRP £22. Fast becoming the must-have Christmas gift, the Scriball is back, and this time scribblers can go crazy choosing the dark side or the light side, as they get colouring to create the ultimate custom ball. RRP from £12. 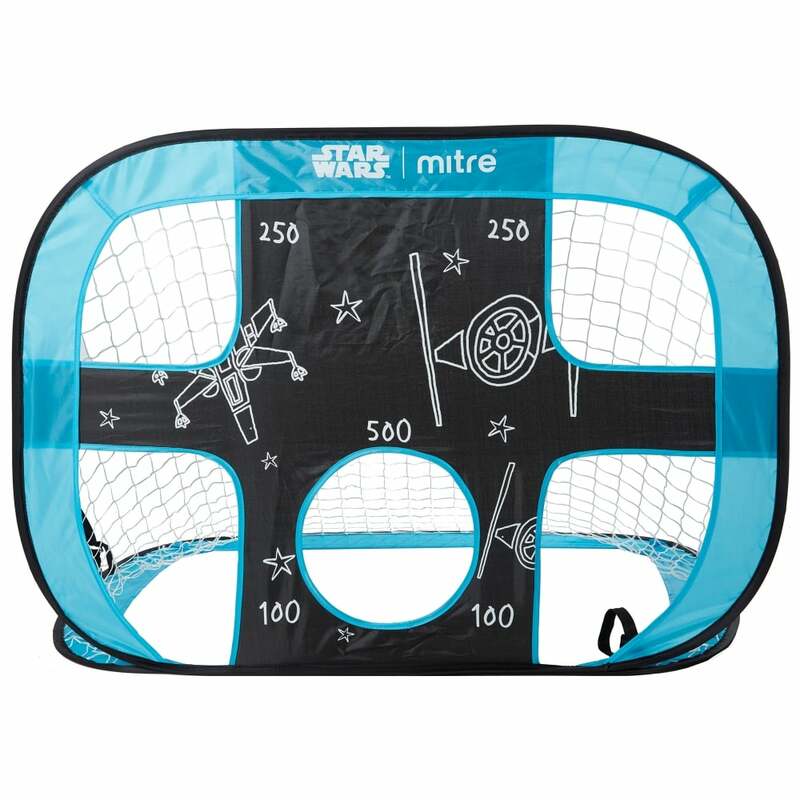 Target practice is about to get even more epic, with the launch of the Star Wars Pop Up Goal. Easy to set up, on one side is an awesome galaxy target net to guide your shots, or flip it over to reveal a standard goal. RRP £30. The Star Wars Mitre series is available from the 1st October at Argos and mitre.com, then available on Amazon from mid-October. For more details head to www.mitre.com.